Millie's story actually begins in Africa thousands of years ago. Africa's indigenous people began to value the abilities of a group of little creatures they called "bush things", or in their native language, "Basenjis". Basenji is a name for a breed of dogs. It is believed that the Basenjis were one of the firs breeds of dogs to be domesticated by humankind. However, for anyone who has had the privilege of being friends with a basenji ,he/she knows that it was probably the "bush things" that domesticated humankind. In the early 90s, the Roanoke, Virginia newspaper, "The Roanoke Times" ran a weekly article called the "Pet of the Week" (the newspaper still offers this as a weekly article). 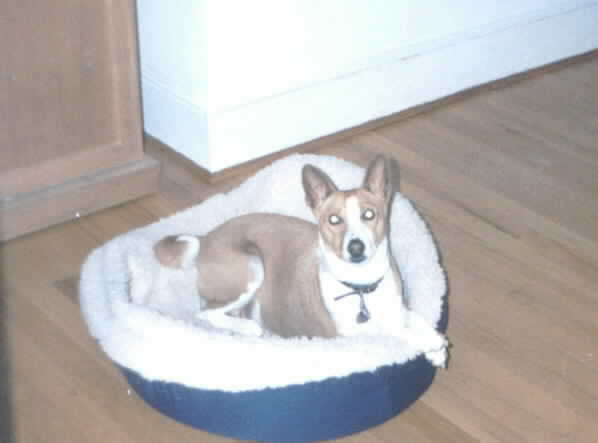 One week's pet was a little basenji girl. Upon seeing the basenji in the newspaper, a dear and loving friend of mine, Karen Azar, went to the city shelter and adopted the basenji. At the shelter Karen learned that the basenji the staff called "Squeaky", had been adopted twice before and was returned for unknown reasons. There was no doubt in Karen's mind that this basenji had finally found a permanent home. 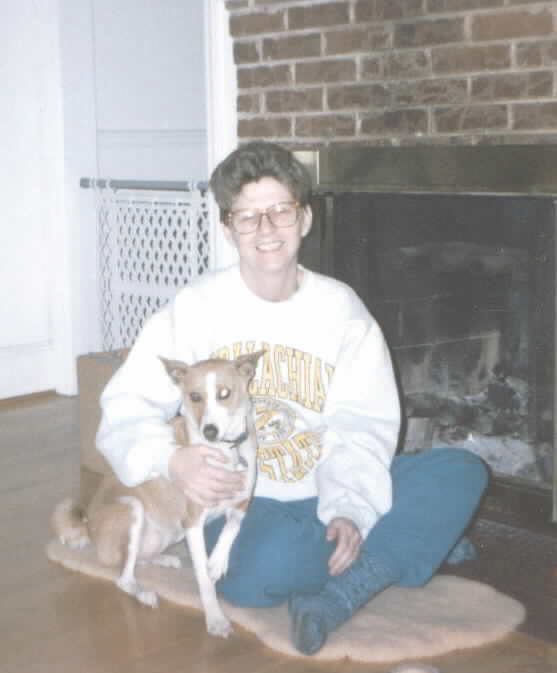 Immediately upon completing the adoption process, Karen put the basenji girl's past to rest, and proclaimed the basenji girl to be "Millie". Millie was a wild little puppy who kept Karen busy with all her antics. Millie would chew on Karen's shoes, eat her eyeglasses. Millie was devoted to Karen. Millie would nip all who came near her---and then run and hide---and so it was with me, as well. After months of being nipped by Millie and put through her "ornery-ness", Millie finally agreed that she and I could be pals. Shortly after adopting Millie, Karen was diagnosed with cervical cancer As Karen’s illness progressed, Millie's behavior changed. She wanted to be in the room or on the bed with Karen at all times. She was loving and very careful not to cause Karen pain. The night before Karen's passage, Millie refused t eat or go out for walks; she just curled up in the corner of the room. The instant that Karen breathed her final breath and left this Earthly realm, Millie came out of the corner. She went to eat, and drink water. I became Millie's caretaker after Karen died. Within a period of two years, 1991--1993, I had lost four people who meant the world tome---my Mother, my Father, my Uncle, and Karen. As a result, I had a meltdown, a Dark Night as St. Francis called his experience. It was Millie who nurtured me in her own way. She was not to be ignored. If I'd forget to feed her, she would bring her dish to my feet and drop it. She did the same thing with her water bowl. When she was ready for a walk, she would drag her leash around the house, until I got the hint. At night, she curled up under the covers with me. In the mornings, if I tried to ignore the ringing of the alarm clock, she would gently, but persistently, kick me in the back until I got out of bed. Millie would always seat herself as close to me as she could and comfort me. I'm not sure I would have survived if it weren't for that little dog. Millie was called back to Creation in 2000. It is because of and in honor of her love, loyalty, ornery-ness, and devotion that I started Millie's Ministries. People all over the world have similar relationships to animals and other life forms. Bring us back to your Heart.